Martha Stewart isn't the first lifestyle maven. Oh, way before her (and way before television) there was Ida Bailey Allen. 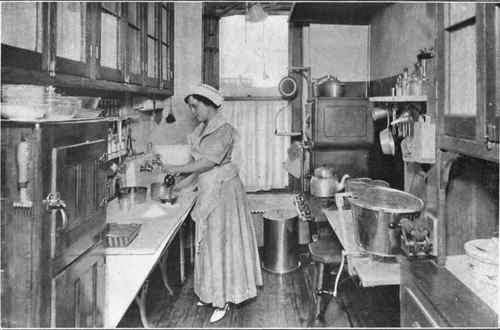 Mrs. Bailey, seen in her kitchen around 1917, wrote cookbooks, wrote articles for magazines and newspapers and even had a radio show that she produced herself and sold the advertising for. She was very successful at what she did, authored numerous cookbooks and was an authority on all things food! Today when a friend and I went to a flea market not far from here, for $1.80, I found this dear little book. Ida Bailey Allen was no stranger to me for I have two other of her books and this is such a sweet little book and the price was definitely right. It was all I could do to not abandon my friend in the flea market, find a comfy chair and devour this small book! 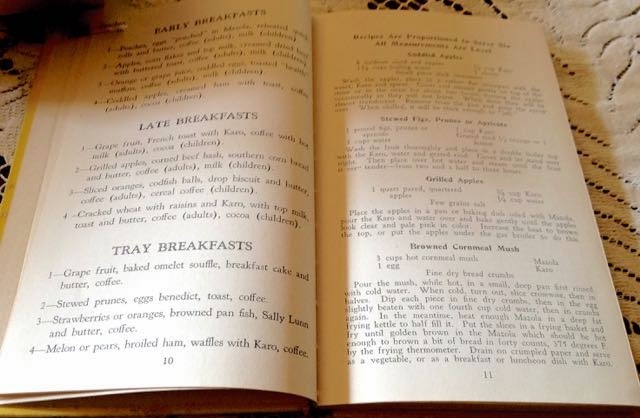 Once home, I did . . . .
Love this about "Early Breakfast", "Late Breakfast" and "Tray Breakfast"! So which breakfast do you have at your home? I fear that most of our breakfasts would qualify as the "Early" variety although I'm not sure I want to poach my eggs in Mazola oil! And since in a week, I will be hosting three luncheons at Linderhof, this chapter held great interest to me. As did this luncheon "tablescape" (although I'm sure Ida Bailey Allen had never heard the word "Tablescape"! I think it's a word invested since blogging began and certainly was not a word in the 20s! And being the tea aficionado that I am, this chapter held interest for me. 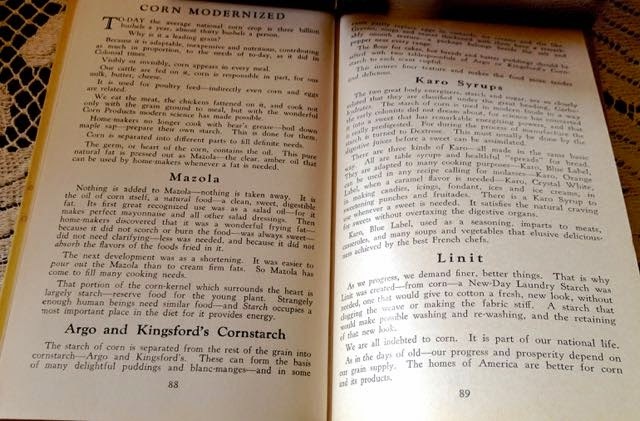 And this chapter on Mazola oil, cornstarch, Karo syrup and Linit (whatever that is) may explain why the booklet seems to have been sponsored by the corn industry! 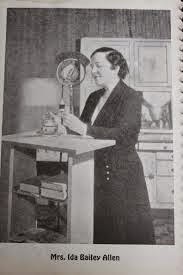 Ida Bailey Allen broadcasting her radio program back in the 30s. She, the "Martha Stewart" of home keeping before the War! 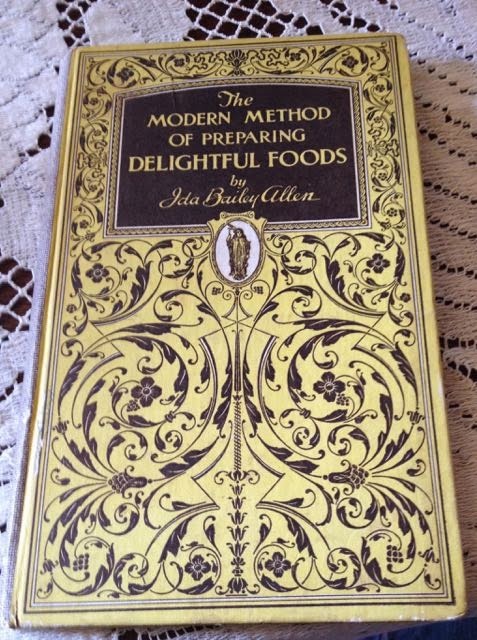 I adore old cookbooks and living in a 1920s house, I adore cookbooks from the 20s. 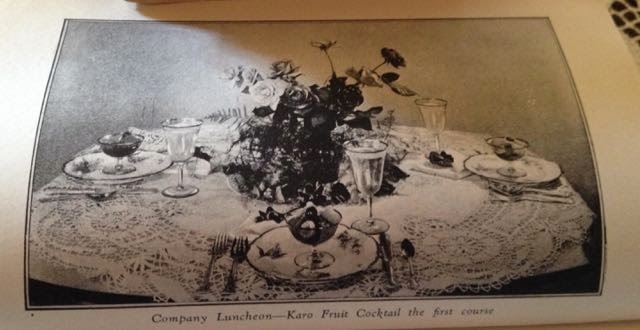 It's interesting to see what foods were common and if they have table settings (as they often do) to see how tables were set in the 20s. 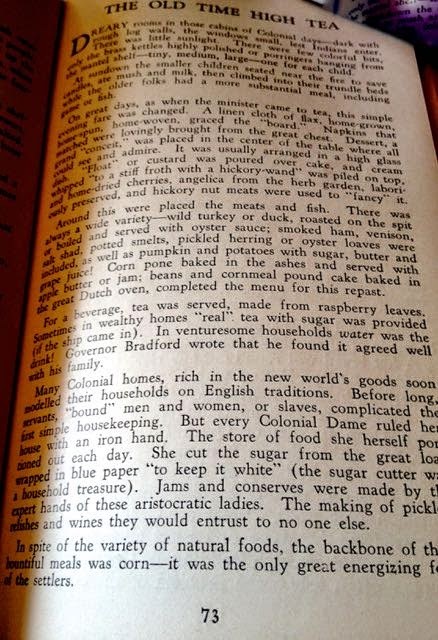 Old cookbooks have far less explanation than the cookbooks of today do. Sometimes you're not even told to stir a recipe much less stir it with a 10 inch wooden spoon! Housewives just knew! And often oven temperatures were omitted as well. Cakes bake at 350, pies at a higher temperature. Or sometimes it was a "hot" or "moderate" oven and you just knew what that temperature was! I was glad to add this book to my collection and I may pay heed to the luncheon chapter. After all, I do live in a 1920s house! What a very special find! 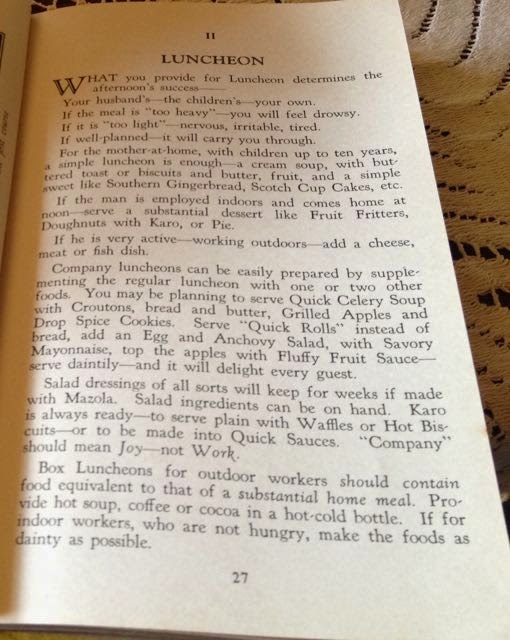 I also love old cookbooks. I wouldn't use all their recipes, but I adore the glimpse into another world, one my mother and grandmothers would have known well. Wonderful find! That's going to be some fun reading. How interesting! I had not heard of her before - thanks for telling us about this remarkable woman! It's such a treat to find a great old book like that. I'd be curled up with it too! People were smaller than we are today, yet they seem to have eaten heartily. Oh my goodness.... what a find! I collect old cookbooks myself and I would have snapped it up too. We are cut from the same cloth! I know you will treasure that sweet book. Looking forward to seeing how you'll be inspired!